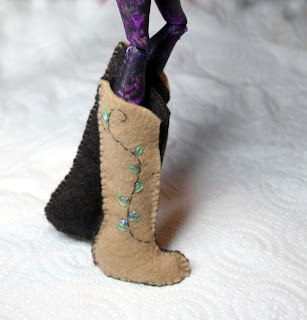 Boot Kit for Your Monster High Dolls! These boots are made for climbing. PB's Thinking Cap is always full of ideas. 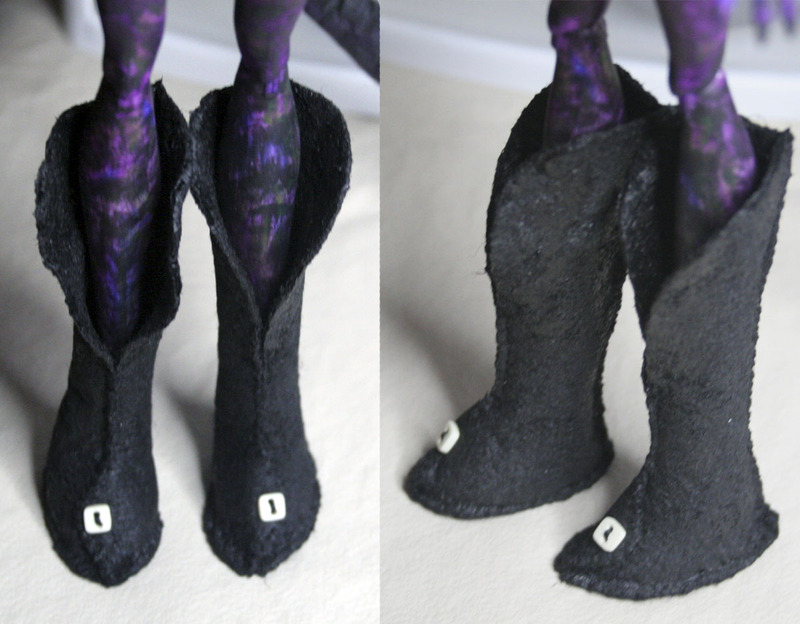 After considering suggestions and looking at Draken's boots, she thought it would be fun to offer a kit to make your own boots for your dolls. Boot Patterns and Instructions will be available at Dolly Dolly Fashions sometime later this month. 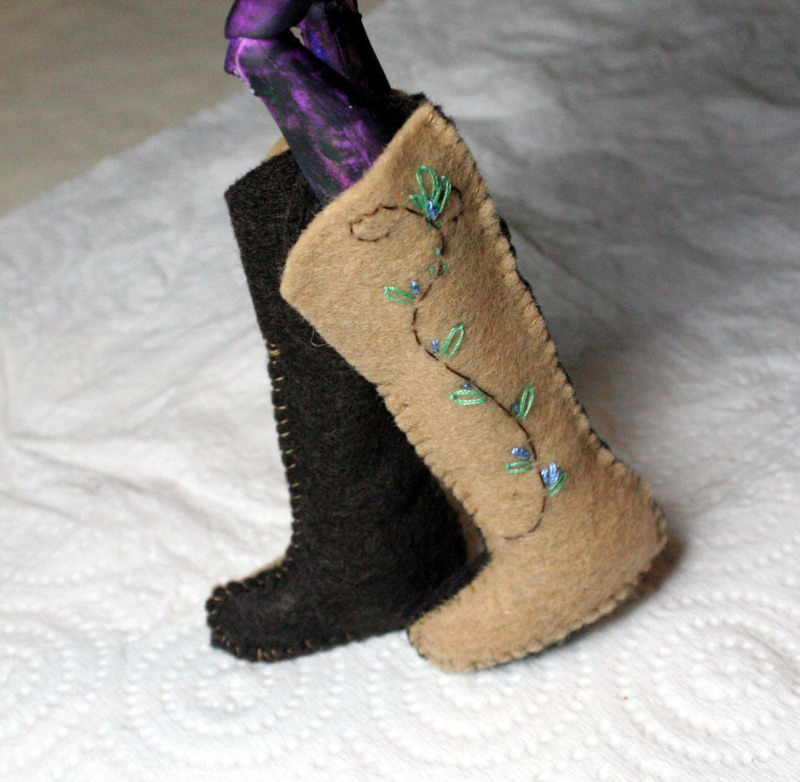 Thanks Tami :) A little embroidery goes a long way. 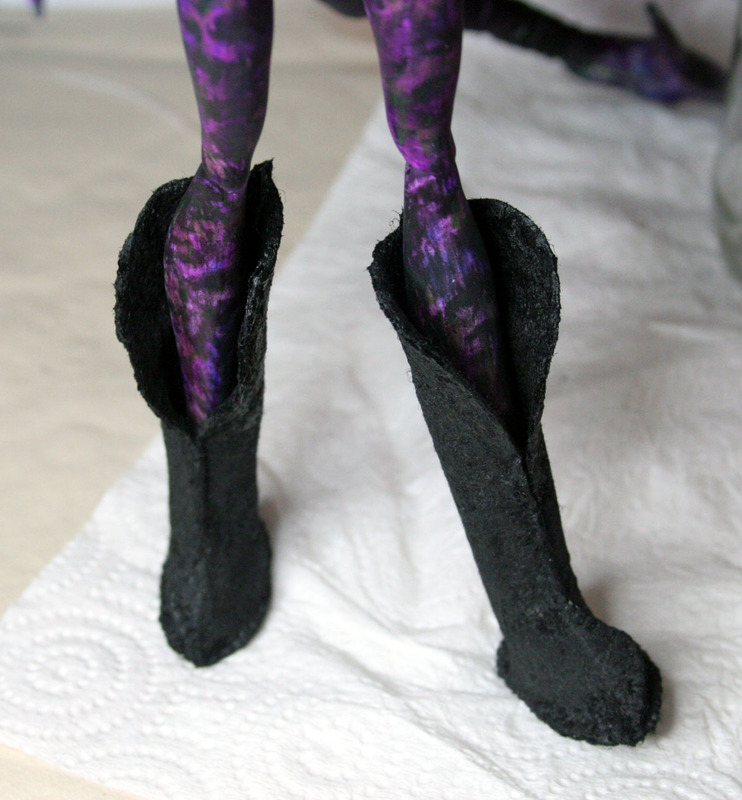 Those boots weren't quite finished then...stay tuned.